Happy Birthday to the birthday boy Hairul. Cakes baked and delivered on a Friday is always uber special COZ it signifies the start of le weekend! 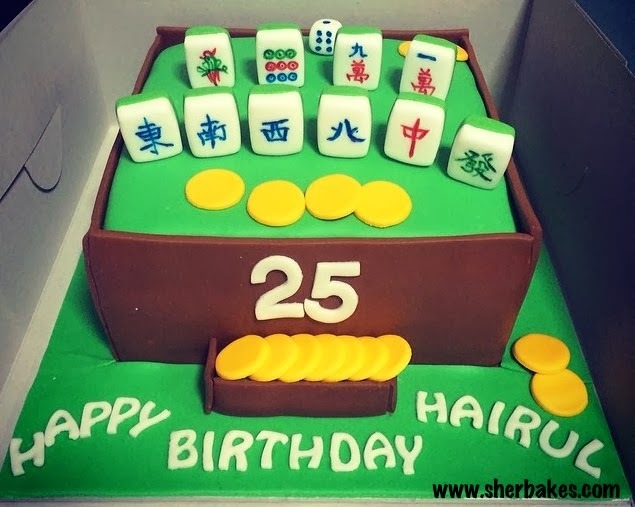 I’ve baked many mahjong cakes but this one is unique in the sense that it has maltesers and milo fudge in btw the chocolate fudge layers!